phone calls and e-mails are always welcome . . .
Email is quickest for updates! Click the stop button, and turn me off! 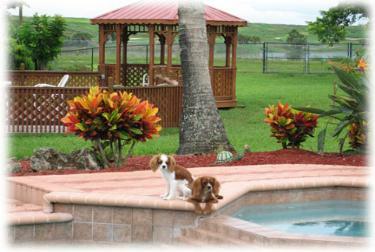 family of Cavaliers who call me their own. 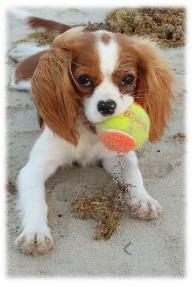 beauty, and a gentle and joyful Cavalier spirit. So join me as I continue this amazing journey with this most amazing breed. October 3, 2016 Cardiology Screenings a Success! as we welcome the Summer Dog Days! Coosa Creek's "Summer Splash Days" are here! 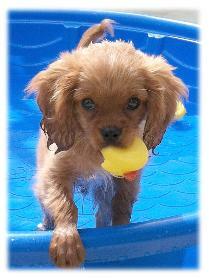 PREPARE TO FALL IN CAVALIER LOVE! 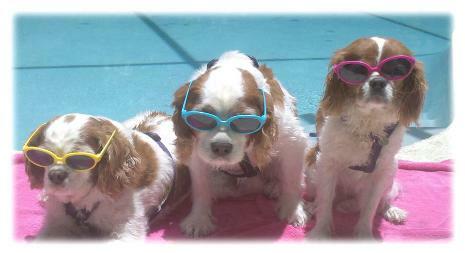 We celebrate the Summer Dog Days in style! Coosa Creek Cavaliers does not ship puppies. schedule a face-to-face visit with my little ones and me -- it's always so much fun! Please read more about this on my "Available Puppies" page. terminate the Cavalier purchase process at any time for any reason.